Ah, the joys of photography! Love the simplicity of this card, why is it that what looks the simplest is the hardest to achieve? Ooooh, this is so pretty, Karren! 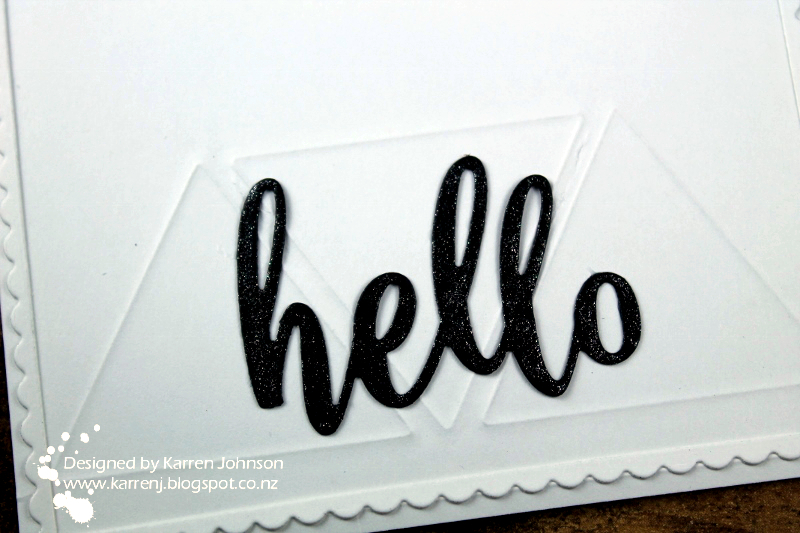 Your embossed triangles are so cool and your sparkly black sentiment is the perfect touch! 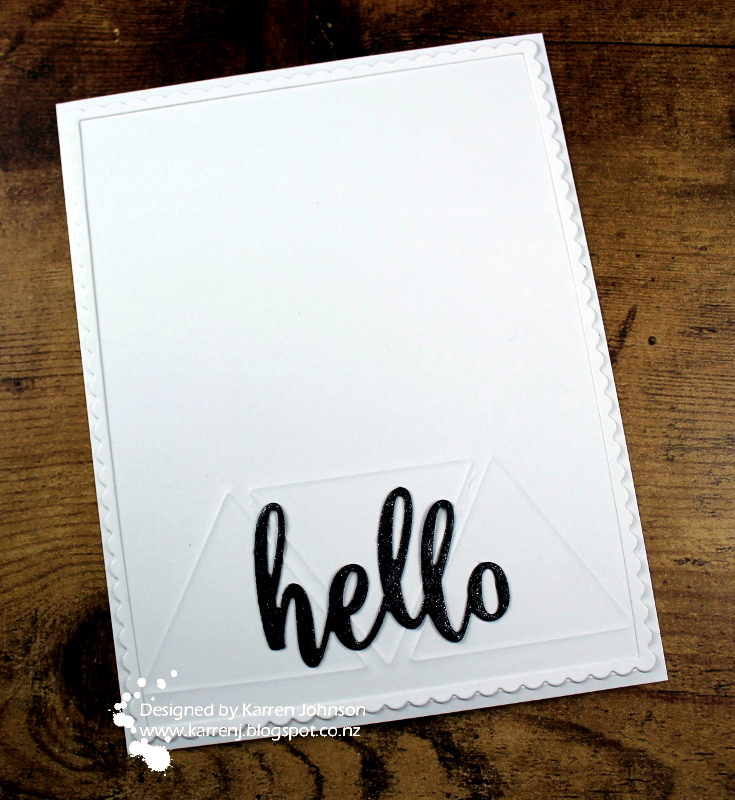 So happy you're also playing along at Camp Create...Love this card!